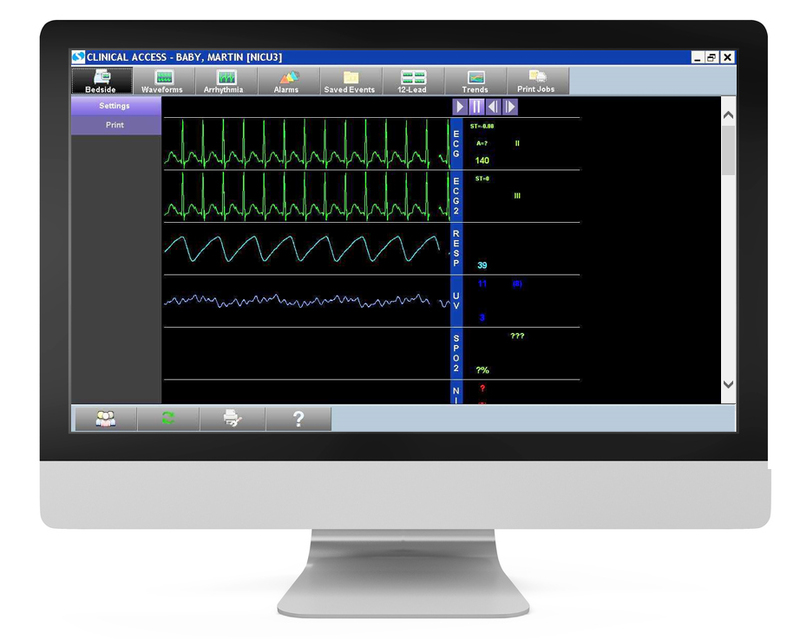 This sophisticated application, part of the ICS suite, essentially creates a patient monitoring system without walls. Since the patient information is available on any networked PC, it means that caregivers can see waveforms from another unit in the hospital or from their office or home computers. Integrated into Clinical Access, Vital Signs Viewer facilitates professional consultations from almost anywhere in the world, enabling clinicians to not only see current monitor waveforms, but also allows a retrospective review of trends, alarms, 12-leads and other clinical data collected from the bedside. What’s more, the display is familiar – in the same format as the bedside monitor. It is also configurable, so you can select waveforms, speed, and size according to your preferences. You can even pause the display, freezing the waveforms for extended observation or printing.